Foreign Policy yesterday accused the Law and Justice Party, which swept to election victory last October, as having “given Polish nationalism a bad name.” Media outlets across Europe have denounced the new government as un-democratic, un-European and anti-Western. The media has been brought under the aegis of the government, and courts have been stripped of their powers, in moves cleaving to those of Hungarian prime minister Viktor Orban (some have even dubbed it Poland’s ‘Orbanization’). 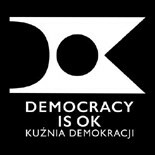 Its latest move, however, has stepped over the line with Polish citizens.